Christopher Nolan's Interstellar has been out for almost two months and you might have seen it already. I watched the movie twice and my appreciation for the film grew considerably after the second viewing. It is a flawed film: the dialogue is often corny and there are serious plot issues. But it is also a film that embeds some spectacular science into its story. After all, how many times do we see a movie that takes gravitational time dilation due to a supermassive blackhole into account and get the science right? Part of the reason is that the executive producer of Interstellar is physicist. 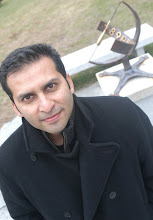 Much of his research is focused on black holes, but he doesn't shy away from speculative ideas as well. For example, in 1985, Thorne advised Carl Sagan to use a wormhole instead of a black hole in his novel, Contact, to send his heroine to star Vega and beyond. Working with his graduate students, he even published two technical papers on the possibility – however speculative - of traversable wormholes. In the case of Interstellar, Thorne has a more direct role. In 2006, in collaboration with Hollywood producer, Lynda Obst (Sleepless in Seattle, Contact, The Fisher King), he started working on a story for a film that involved an interaction between astronauts and a race of advanced beings that lived in a higher dimensional universe. When Christopher Nolan picked up the film to Direct, he reworked the script with his brother, but kept some of the key physics concepts from Thorne’s ideas. The blockbuster film Interstellar is a stirring defense of space exploration and of our trust in science to get humanity out of trouble. This ambitious movie weaves complex ideas from physics—including relativity, quantum gravity, and higher-dimensional space—into the very fabric of its narrative. With a running time of just under 3 hours, the film manages to tell a gripping story while still getting most of its science right. Interstellar is set in a near future when blight has destroyed most of the world's crops and food is becoming scarce. The human population has declined precipitously, and humans are in danger of dying out within a generation or two. But a ray of hope comes from space. A wormhole has appeared near Saturn, and a small group of NASA scientists plan to use it to find habitable planets that could serve as humanity's next home. Wormholes are not new to science fiction, and although there is no scientific evidence that they exist, they are rooted in various solutions to Einstein's theory of general relativity. They also conveniently solve the science fiction author's problem of how to transport characters across vast interstellar—or intergalactic— distances in a relatively short time. who was committed to maintaining a scientifically plausible story line. One example of this collaboration is described in Thorne's wonderfully entertaining companion book The Science of Interstellar. It arose when Nolan informed Thorne that the plot required a planet where 1 hour spent on the surface would equal 7 years on Earth. This, according to Nolan, was “non-negotiable.” While at first skeptical, Thorne ultimately calculated that such a planet could theoretically exist if it were orbiting close enough to a supermassive black hole that was rotating close to the maximum speed allowed by physics. Whether moving humanity to this world is a good idea or not is a separate question, but science allows the possibility for such a planet to exist. Although wormholes are still in the realm of theory and speculation, supermassive black holes do exist and are often found at the centers of galaxies. In chapters 8 and 9, Thorne describes the science that inspired the visual depiction of the black hole in the film. Recalling the first time he saw the film's black hole—Gargantua—he writes, “What a joy it was when I first saw these images! 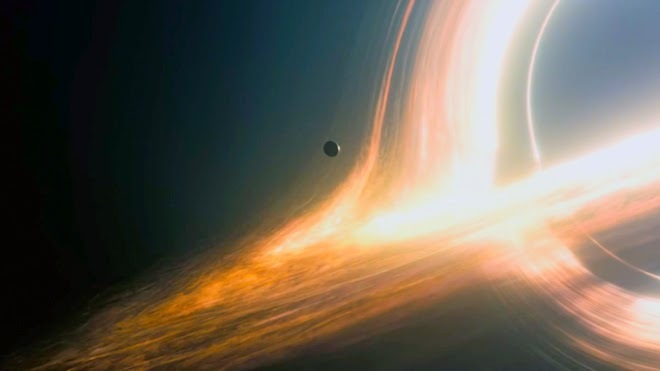 For the first time ever, in a Hollywood movie, a black hole and its disk depicted as we humans will really see them when we've mastered interstellar travel.” The results are spectacular to behold in the movie, and Thorne informs the reader that the models and simulations that helped inspire the images will serve as data in one or more forthcoming technical papers. Clearly, the movie is based in good science; however, it is not without its issues. For example, it decidedly lacks a sense of wonder and curiosity that one would expect to see in a story about exploring new worlds. Similarly, in the imagined future of the film, there seems to be a noticeable lack of internationalism. American flags are fluttering on planets in another galaxy, and baseball seems to be the sport of choice even in orbital colonies. This is all the more surprising because the movie itself is a result of an international collaboration. I think the lack of wonder about a new place is a serious flaw. You see this in most Hollywood science fiction films and I think it misses a fundamental emotional response. Another recent example was the terrible film, Prometheus. 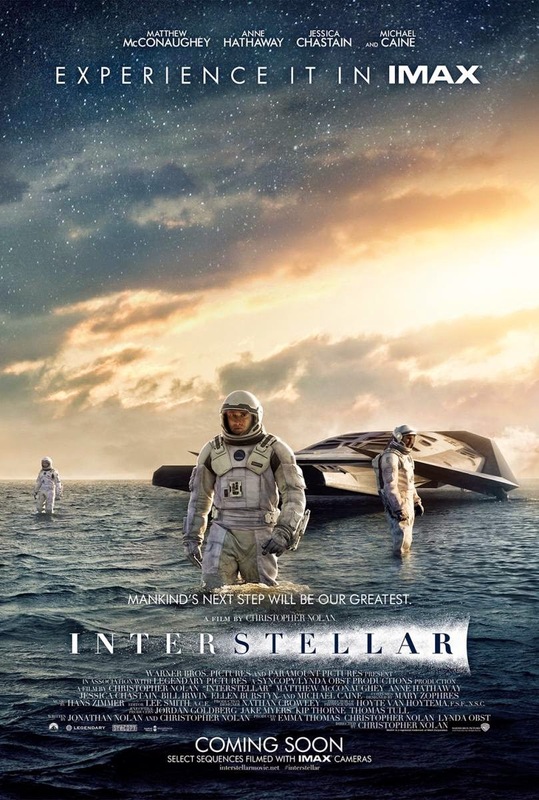 In Interstellar, when NASA astronauts land on planets in another galaxy, none of them is awestruck by experiencing a new world for the first time. Contact is one of the rare movies that got this feeling right. When the protagonist astronomer in Contact reaches the center of our galaxy, her first words are “they should have sent a poet – there are no words to describe this”. Such a feeling is distinctly missing in Interstellar. Nevertheless, it is an ambitious movie even if it lacks philosophical sophistication. At the heart of the film it explores the nature of our love for the next of kin versus that for our species and the sacrifices we are willing to make for them. But deep down, the movie is about our fundamental faith in science and human creativity in solving our own problems – even if some of the problems were created by the very same science-driven technology. Read the full review here (or pdf here). the review does justice to the film. I didnt notice the point of US ONLY astronauts landing on another planet and YES the aspect of lack of expression of emotion when humans land on another planet and pass through a WORM HOLE was definitely under-expressed.